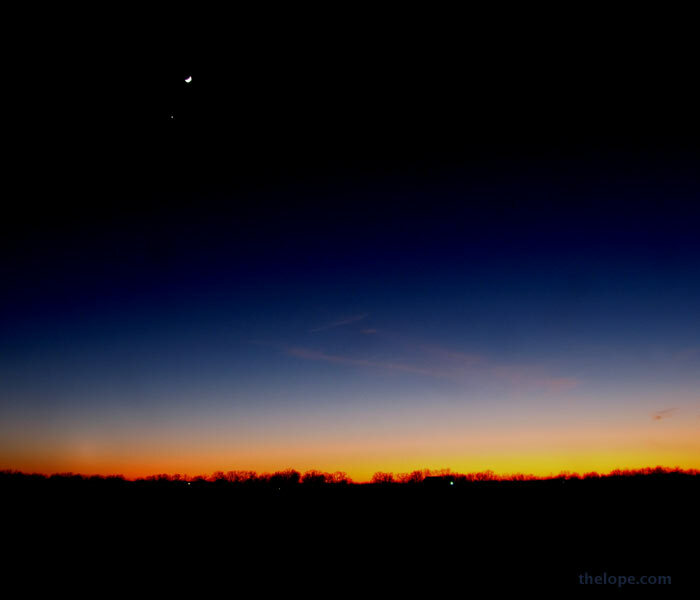 The crescent moon and Venus preside over the last twilight of 2008. We at thelope.com wish you a happy 2009 filled with discovery and wonder. Happy New Year to you, too! As for discovery and wonder, your photos have provided me with both in 2008 and I'm sure it will continue in 2009. So, thank you.